New movers mean new opportunities for you to reach people with direct mail postcards and introduce them to your business before the competition. Get Started with New Mover Mail! 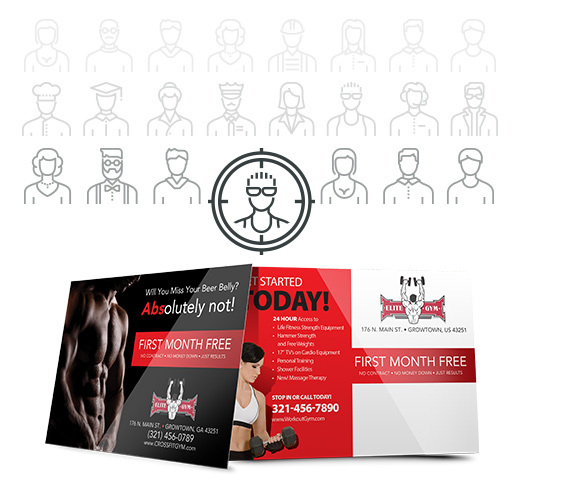 Get more from your marketing and grow your business by being one of the first to welcome new movers to the neighborhood with personalized, variable data postcard mailers. Every year more than 43 million people move to a new home and begin searching for new businesses, restaurants, services, schools and churches in their new neighborhood. Our New Movers Program makes sure you are one of the first to welcome them to the neighborhood with high-quality, full-color direct mail postcards! You can easily start reaching new movers and growing your business starting at only $69.95! Our new mover mail is perfect for any size business looking to reach new local customers. And the best part… this super-low pricing includes printing, mailing services AND postage! There are no contracts so you can pause your mailings at any time, and the only requirement to get started is a minimum quantity of 100 mailers. Be one of the first to reach to new neighbors with a personalized direct mail postcard and get ready for more new business. With mailers delivered to homes each month at only 69¢ each, your business will consistently be reaching your new neighbors.